It’s vital to your business to have a clean area so customers and employees are able to get in and off the property safely during the winter. 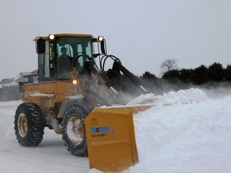 We understand what it is like to remove snow for commercial properties in Edmonton and with our competitive and reliable service we will keep your business accessible for you and your customers. We provide commercial snow removal services to businesses ranging in sizes from 3 stall parking lots to large scale commercial parking lots and everything in between. Our service also includes removing snow from all entrances, exits, side and back doors, along with sidewalks, walkways, and more. Our pricing options are structured to give your business the flexibility it needs. 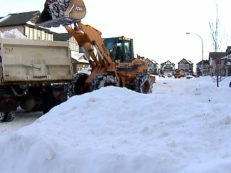 How Much Does Commercial Snow Removal Cost In Edmonton? 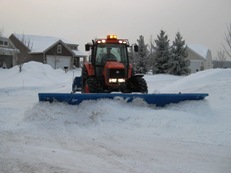 A number of factors go into the price of commercial snow management and plowing. A few factors we look at are whether there is good access to the property, how much area there is, and whether there are any obstacles in the way. Every client is unique so we also look at your specific needs and combine those into a comprehensive done for you service package. 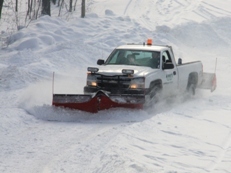 Due to there being a number of factors to consider its best for you to speak with our certified commercial snow clearing staff to custom tailor and affordable but effective price quote and snow removal strategy for your commercial property. During the winter parking lot snow steadily builds up over time and is necessary to plow snow into windrows or snowbanks on the edge of the to keep it free for parking. We strategically plow snow to areas of low traffic to maximize the parking capacity of the parking lot. We use plowing equipment such as a truck or bobcat to get the job done in the most efficient manner.